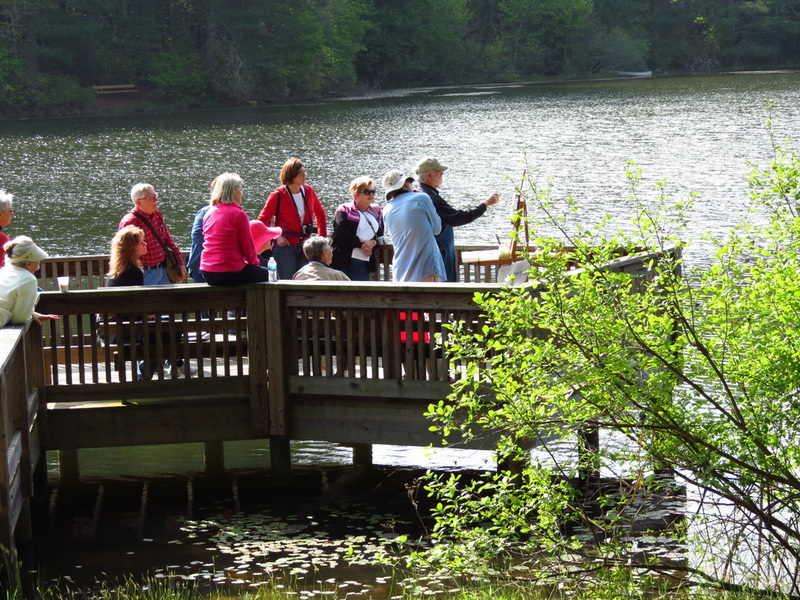 The 34th Annual Kanuga Watermedia Workshops, March 30 – April 5, 2019 (5 day class instruction March 31–April 4), will be held at the Kanuga Conference Center in the Blue Ridge Mountains of North Carolina. The workshops offer the student a choice of twelve artist-instructors or an independent study. The instructors have been chosen for their ability to help painters develop and advance their skills. All levels of painters are invited. Painting is always a learning experience. 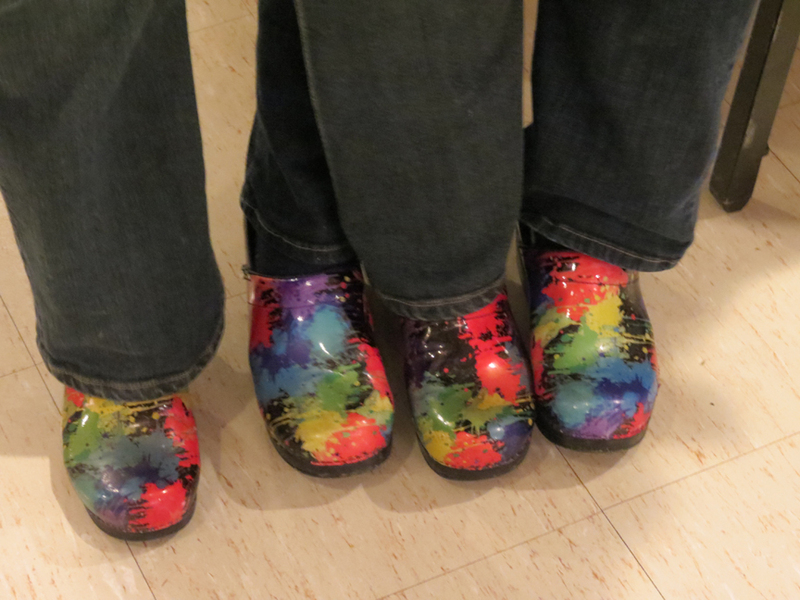 Our goal is to help painters sharpen their critical awareness and discover painting gratification. Instructors will conduct their individual classes in assigned classrooms. Each student works with one selected instructor the entire workshop. Classes are limited to 24 students, though most classes tend to be smaller. 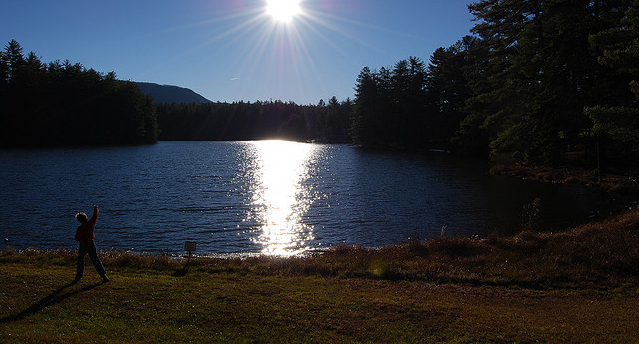 The instructor’s materials list, activity schedules, directions to the Kanuga Conference Center, and other general information will be posted on our website. 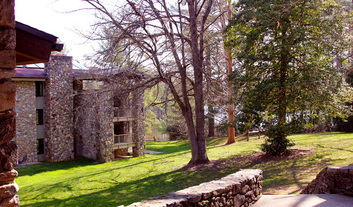 The Kanuga Conference Center is located close to Hendersonville, N.C., and Interstates 26, 40 and 85; and is served by the Asheville Airport. All workshop activities are held on the 1,400-acre campus. Housing Accommodations: Rooms do not have TV's or phones; however, all have Internet WI-FI access. All linens are provided. 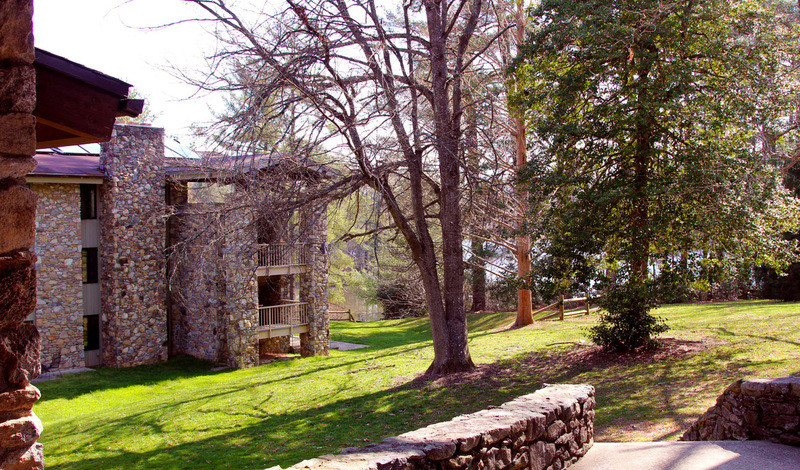 The Kanuga Lake Inn offers 61 hotel-style rooms, each with a private bathroom. Each floor includes a spacious common room with a fireplace. Every room offers easy access to the dining room, library, lobby and other areas. Have from two to six bedrooms (with two beds in each one), and include a sitting room, fireplace, and screened porch. In some, baths are shared by two bedrooms. Cottages have a small refrigerator, but are not furnished with dishes or coffee makers. All cottages have Wi-Fi access. A limited number are available for groups; minimum of 4, up to 8 people. Guests Houses are larger than cottages, but farther from the dining rooms. Pets are not allowed at the Kanuga Conference Center. The workshop rates include tuition, 6 nights lodging and meals from Saturday supper, through breakfast Friday. An early arrival night (Friday) can be arranged for an additional fee. Painters’ Guests (non-workshop) are welcome. 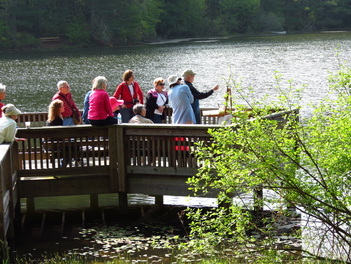 Many activities are available in the area and on the Conference grounds. Commuters are welcome. Commuters’ fees include choice of either lunch only, or all meals, followed with evening programs. We encourage commuters to participate fully as the ideas and conversations that often occur at mealtimes and during the evening are a major part of the enrichment of the program. Most meals are buffet style and will accommodate most diets including vegetarian and low cholesterol. (Diabetic and gluten-free meals are available on request). 1. All rates are per person. If we cannot place you as requested you will be notified. Double Room is lodging with two people per bedroom. Single Room is one person in a bedroom. 2. Painter registration rates vary according to the accommodation chosen and include workshop tuition, lodging, meals, and evening programs. 3. Commuters’ fees include the workshop tuition and either lunch only, or all meals and evening programs. 4. Independent Study (non-workshop) registration rates vary according to accommodations and include the lodging, meals, and painting studio. One 30-minute critique is included. 5. 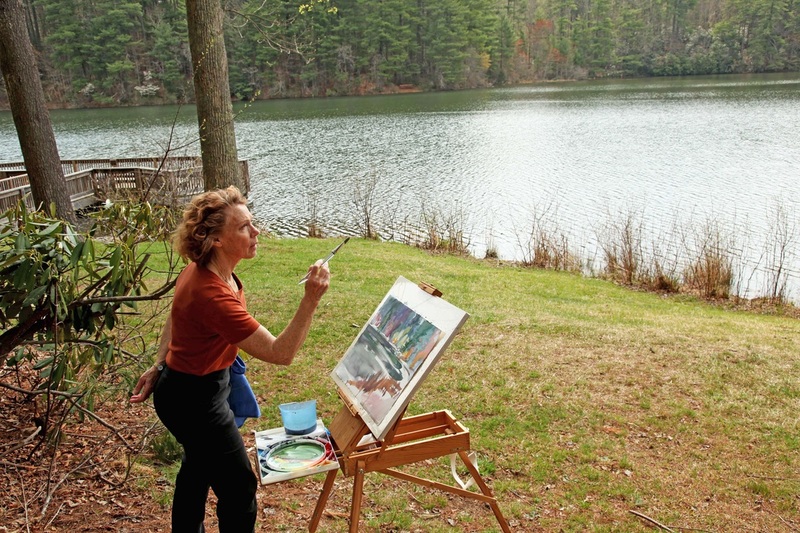 Painter’s Guest rates are based on double occupancy for any accommodation with a painting participant and include meals, lodging and evening programs. Online registration begins June 1st, 2018. Following your online registration and payment of deposit, you will receive a confirmation of the class assigned, and balance owed. The balance MUST be paid by February 1, to secure your place in your selected class. A non-refundable deposit of $200.00 per person is required with your registration; See Cancellation Policy below. Payment in Full is required by FEBRUARY 1, 2019. 1) Prior to Sept 1, 2018, $100 of the deposit is non-refundable. 2) Sept 1, 2018 and thereafter, $200 of the deposit is non-refundable. 3) After Feb 15, 2019, $650 is forfeited, unless we can fill your space with a NEW registrant. 4) Within 7 days of workshop, the entire amount is forfeited unless we can fill your space with a NEW participant. 5) For a Painter’s Guest, Prior to Sept 1, 2018, $100 of the deposit is non-refundable, and $200 is non-refundable Sept 1st or thereafter. 6) If Directors cancel a workshop, all funds will be refunded to the participant. 7) If an Instructor cancels a workshop for personal reasons, all reasonable efforts will be done to find a comparable instructor; in which case, if the participant chooses to cancel, all funds will be refunded less a processing fee of $50. Onsite Check-in opens: Sat, March 30, 1:30 P.M.
Workshop classes are held 9:00 A.M. to 4:00 P.M. Sunday through Thursday, and classrooms are open around the clock Sunday through Wednesday, and close on Thursday, 4:00 P.M., with Banquet & Social Thursday evening. Checkout from Kanuga is Friday morning after breakfast.